A&A engineers are available to respond, 24-hours a day – 7 days a week in Western Super Mare With our same-day call out service. Looking for Garage Door Repair Company in Western Super Mare? Our A&A Garage Door engineers are available to respond to all types of garage door breakdowns and repairs, 24/7 across Western Super Mare and throughout Devon. We offer a same-day call out service for any emergency breakdowns which may occur from broken or damaged garage door to electrical problems and broken garage springs. Call to check our availability on getting your garage door repaired now; Phone Western Super Mare 01934 886602. 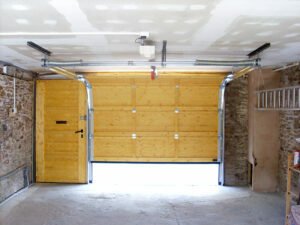 Repairing any Garage Door in Western Super Mare. 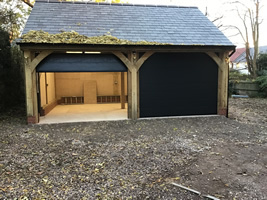 With over 30 years of experience repairing and servicing garages doors in the Western Super Mare area, there is rarely a garage door problem we've not over come. All our garage door technicians work with well stocked vehicles holding many of the essential garage door spare parts needed to fix your garage door quickly. If your garage door is repairable we will fix the same day, currently achieving 95% of all garage door repairs are fixed in one visit normally within a couple of hours. What type of garage door repairs do A & A Garage Door Company carry out? How much does it cost to repair a garage door in Western Super Mare? If your garage door is out of the manufacture warrantee, unfortunately, there will be a price to repair and replace any parts of your garage door. With so many manufactures, parts and potential minor issues to fixing your garage door we recommend you talk to us first before deciding on getting the garage door repaired. Call Western Super Mare 01934 886602 to find out more about the potential cost of repairs. Common garage door problems we fix regularly..
Small examples of typical garage door problems we have recently fixed. Whilst not an exhaustive list, don't worry if you don't see you problem we can help - call Western Super Mare 01934 886602. Can we fix your broken garage door fast? Not Just Garage door repairs, not just Western Super Mare. We work across Devon and the South West - our work takes us far and wide, not just Western Super Mare. Our work includes all types of garage door and entry systems for both domestic home owners as well as businesses around Western Super Mare and Devon.